Image Comics is pleased to announce the return of cartoonist Sina Grace (LI’L DEPRESSED BOY, SELF-OBSESSED, SELF-OBSESSED webseries) with another chapter in his growing library of reflective memoirs—producing his strongest and most compelling tale to date in NOTHING LASTS FOREVER. “I was working on this book at a time when I had that end of the rope feeling, like I needed to quit comics—everything,” said Grace. “Nothing Lasts Forever exists simply because of the encouragement and support I got from my colleagues in the industry telling me, ‘Make this book.’ It’s not an easy journey to read, but it may be my best.”This original graphic novel memoir chronicles a year of Grace’s heartbreaks, writer’s block, career highs, emotional lows, and the emergence of a mystery illness.NOTHING LASTS FOREVER is Grace’s unflinching exploration of how to pick up the pieces and find hope when absolutely everything falls apart. If life’s a show, Grace makes certain that it’s worth every pay-per-view. 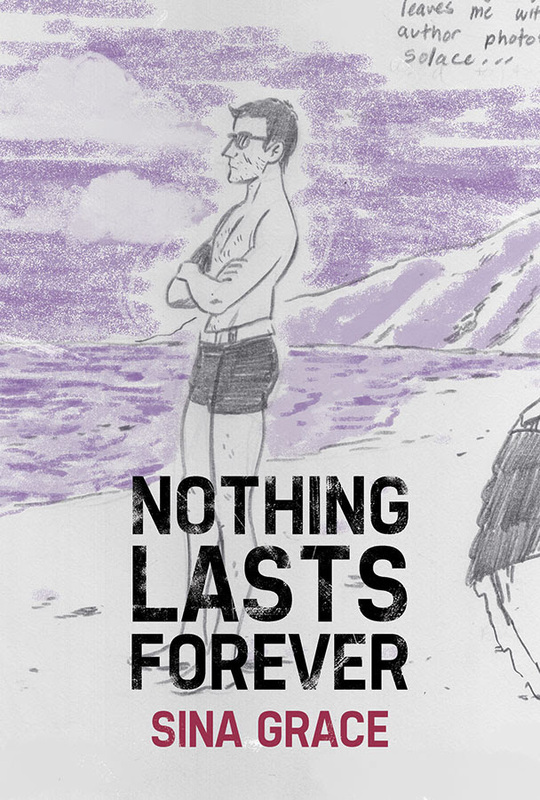 NOTHING LASTS FOREVER (ISBN: 978-1534301832, Diamond Code MAR170827) hits comic book stores on Wednesday, June 7th and bookstores on Tuesday, June 13th. The final order cutoff deadline for comics retailers is Monday, April 24th. It is available for pre-order on Amazon, Barnes & Noble, IndieBound, and Indigo.